Have you ever gone to the spa and you start thinking about making your bathroom looked like one of them? Well we’ve make a few advice on how to make your bathroom looked like a spa. 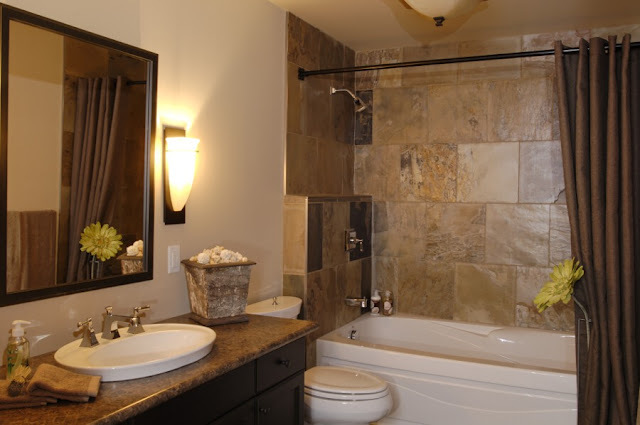 You need to use your idea too to make your bathroom looked even more like a spa. Do you remember the comfortable impression when you’re in spa? You can make you bathroom look comfy by doing simple things like making a window on your bathroom so you can relax while having a bath on your tube, you can also put on a lamp near your tube or the mirror, try to get a lamp that doesn’t shine too bright instead, try a lamp that shine a brown colored light or dark red colored light or other light that doesn’t seem to be so bright. Bring the nature to your bathroom, you can make it by using the wood or stone stuff like a tube that made out of the wood or the sink that made out of the stone, you can also change the floor to stone or wood to give a even more natural impression. You can also put a automatic perfume sprayer that spray relaxing scent. This may not look really important but to make it look comfy you must fold your towel and put it on a table,drawer or maybe you can roll it up and stack it into a triangle, just make sure that the towels are not messy. Your things.You can also put the other stuff for subtitute in the drawer in the bathroom and you can also put other things so you can organize your stuff easily like a pole for towel that you’re using, hanger for the robe, a container for the soap or a special glass for your toothbrush. One thing that you have to remember is that you can’t put all of your stuff too close make a room between your stuff for example, don’t put your bathtub and sink too close, make a room between them you can put a clear glass to make some room too just make sure that the room are comfortable when you’re walking around in the room. 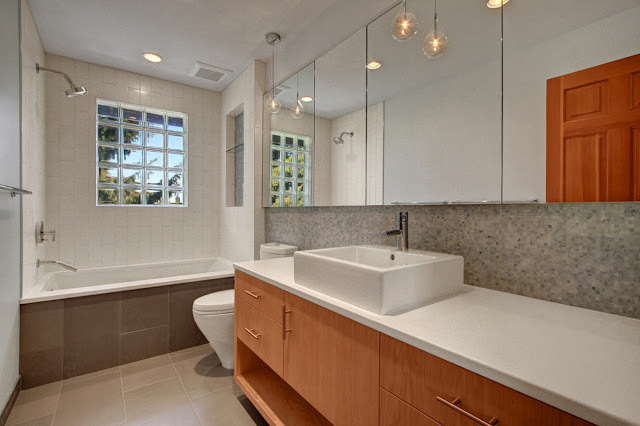 Put on a mirror on the wall where your sink attached to, so you can see your self while you’re brushing your teeth or shaving, don’t forget to put a lamp too on the side of the mirror or other places that close to the mirror so you can see yourself clearly and it will give the bathroom the ‘spa’ impression. While you’re on the bathroom. After having such a wonderful bath, you will need a robe so put your robe near your bath or shower you can put a iron pole to hang it and to put your towel so it doesn’t become messy,change the robe gradually too so you can still feel warm and comfort when you’re using it. Don’t forget to clean your bathroom gradually too because you don’t want any spider web on the corner or mold near the sink, you have to change the stuff in your bathroom gradually too, wash your towel and change your toothbrush so the stuff on your bathroom doesn’t look disguising. Put a chair in the corner or on the side wall of the room, use this chair to sit and relax after taking a bath, try to get a comfortable chair so you can relax.